France by faculty members in the 1880’s. play-offs and went on to defeat the San Antonio Drillers to win their first league title. Pirates (1975–78) and San Francisco Giants (1979–2002). head with a confrontation on Bayou Queue de Tortue between Lafayette and St.
the events of this era. Parishes today in 1971. 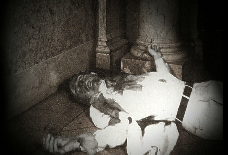 The film was based on the young adult novel by William H.
debut as the family’s optimistic friend, Ike. and begin her stage career. World-renowned heart surgeon Michael DeBakey born in Lake Charles today in 1908.
somebody dropping a fistful of nickels. Betsy, the fist billion-dollar hurricane, smashed ashore near Grand Isle tonight in 1965.
sought higher ground in their attics, where some drowned as waters rose. Pelicans were on Parade at the annual Festival Acadiens parade this week in 2001.
success in Slidell in 2013.
four years since the establishment of the city in 1718 suffered extensive destruction. headed north across Central Louisiana. of the restaurant’s waiters who had over 500 years of waiting experience among them. 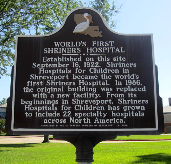 The world’s first Shriners Hospital for Children opened in Shreveport this week in 1922.